President-elect Trump’s choice of a backer of Israeli settlements to be ambassador to Israel may be the final death-blow to the “two-state solution,” which has been on its death bed for years, as Dennis J Bernstein explains. 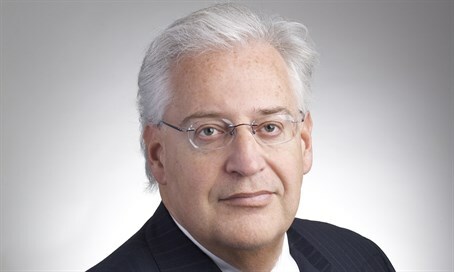 The possibility of a meaningful peace agreement between Israel and the Palestinians has taken another dark turn with President-elect Donald Trump’s choice of lawyer David Friedman, who holds hardline views in favor of Israeli settlements on Palestinian lands, to serve as the next U.S. ambassador to Israel. In a statement from the Trump transition team, Friedman also said he “looked forward to moving the U.S. embassy to Israel’s eternal capital, Jerusalem,” which once was supposed to be divided between Jewish and Palestinian control. But a different twist to Trump’s ambassadorial choice could be that it will kill off the illusion of a “two-state solution,” a mirage that has receded farther into the distance as over a half million Jewish settlers moved onto what was intended to be the territory of a Palestinian state. That, in turn, would confront Israel with the choice of a “one-state solution” that grants both Jews and Arabs equal rights or an “apartheid state,” which denies rights to Palestinians or treats them as second-class citizens. I spoke about Trump’s choice for U.S. ambassador to Israel and the risks of Trump’s emerging Israeli policies with Ali Abunimah, the author of One Country: A Bold Proposal to End the Israeli/Palestinian Impasse. He is the co-founder and director of the Electronic Intifada, and the winner of many human rights awards. 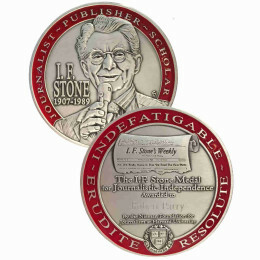 A resident of Chicago, he contributes regularly to the The Chicago Tribune and The Los Angeles Times. Dennis Bernstein: Ali, it’s good to talk to you again, but the news is not so good for you. You want to begin with your understanding of who David Friedman is…? David Friedman, President-elect Donald Trump’s choice for U.S. 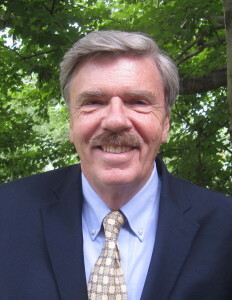 Ambassador to Israel. Ali Abunimah: Well, Friedman is … a bankruptcy lawyer. He’s Donald Trump’s personal lawyer, for the past 15 years, and his campaign adviser on Israel. His views are so hardline that he’s been described as being even to the right of Benjamin Netanyahu, which tells you something. In fact, Friedman is the president of a non-profit that has raised about $10 million over the last five years to directly fund Israeli settlements in the occupied West Bank. And, in fact, that organization is named as a defendant in a lawsuit that was filed earlier this year in federal court by 20 Palestinians against American organizations and individuals who are raising money for settlements. And not just for building settlements, but for buying weapons…. The lawsuit alleges that these organizations are basically involved in money laundering, arms trafficking, and aiding and abetting murder, maiming, theft of Palestinian private property, war crimes, ethnic cleansing, and other acts, which are illegal under U.S. and international law. So that lawsuit is currently underway. And Friedman is the president of one of the defendants. And we reported… on the Electronic Intifada [on Dec. 16], that that fact had not been picked up anywhere else. Friedman, you know, to some extent it would be a repudiation, if Trump’s policy moves in the direction that Friedman would advocate, which is outright Israeli annexation of the West Bank, of course, even more settlement construction and moving the U.S. embassy to Jerusalem, that would be a major rhetorical shift in U.S. policy. So, part of me is saying, well this is simply a more honest labeling of what the U.S. policy already is. There was not going to be a two-state solution, even if Hillary was elected. There was not going to be any real consequences for Israeli settlements. So, I think this is another horrible sign of where our country is on so many issues. But I think it’s an opportunity, also, for us to say to people, “Well, you can’t pretend there’s a peace process anymore, so why aren’t you signing up to BDS–boycott, divestment and sanctions–and other campaigns and tactics that are independent of what the government does?” The real people power to begin to hold Israel accountable and change its situation. I think that’s both the challenge and opportunity that’s put in front of us. DB: I guess it does look… that’s about right. That this will simply… under Trump, they will just draw the line deeper, harder and darker, in terms of what the policy is. But the policy, it hasn’t changed in decades. And it doesn’t seem to be changing. […] Earlier this year David Friedman referred to a progressive Jewish advocacy group… I guess at J Street… he called them “worse than kapos”… those are the Jewish collaborators with the Nazis, for supporting a two-state solution. They were acting like Nazis. 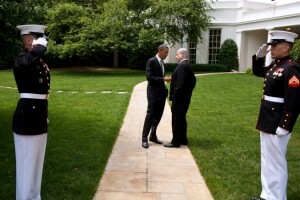 AA: And he’s called President Obama an anti-Semite, as well, […] who signed the biggest, military aid package in history, to any country in the world, for Israel. Just a few months ago, he called him an anti-Semite. Yeah, so I mean it’s horrific, that sort of language, using the term kapos is disgusting. But I think what that does is it confronts all of us with the reality of where Israel and pro-Israel politics have brought us. And I think it challenges all decent people to, you know, to take a stand. Where are we? I think that the Obama era provided this kind of safe space for people to do nothing to challenge Israel, but say, “Well, I support the peace process, I support the two-state solution.” When in reality, we weren’t moving towards any kind of peace, and Israel was getting away with what it wants to do. I think that Friedman is speaking the real position of where Israel is today. And it’s ugly… it’s ugly. And it’s the real face of Israel that Palestinians have always known. So, you know, I mean that’s another way to put it. As a Palestinian, I’d say to people who are shocked by this, I’d say, “Welcome to the club.” Because you’re seeing the face of Israel that we’ve always seen and lived with. DB: …. I do want you to talk a couple minutes about the significance of Jerusalem. You can say something about what’s been going on in terms of the purging. But why this is such an outrageous policy decision and what it means in real terms, and in spiritual, political terms, for Palestinians. AA: Well, Jerusalem, for those [who don’t] know, a 30 second history: In 1948 the western part of Jerusalem was ethnically cleansed of its Palestinian population, when Israel was created. And the eastern part of Jerusalem was occupied in 1967 [by Israeli forces]. And the eastern part is part of the West Bank. So the position on West Jerusalem, of the U.S. and all other countries, is that we recognize Israeli de facto control, but we don’t recognize it as Israel’s capital because that has to be decided as part of a final peace settlement. So, that’s why every country in the world has its embassy in Tel-Aviv. Now, as far as East Jerusalem is concerned, also every country in the world, they don’t recognize Israel’s sovereignty there, and they say this is occupied territory. Israel’s position since 1967 has been that “we own all of Jerusalem, and we’re going to make it so.” And so Palestinians in Jerusalem are gradually being pushed out. Settlements have been built everywhere. Land confiscated, the theft of vast areas of Palestinian land. Palestinian communities in East Jerusalem, cut off from each other by Israel’s apartheid walls, thousands of Palestinian Jerusalemites deprived of their residence. Now, all Palestinians in Jerusalem, Israel doesn’t even treat them as if they belong there. It treats them as if they are just permanent residents from somewhere else. And their residency can be revoked, at any time. That’s been the policy for many years. Aggressively going after Palestinians to get them out of the city. And so, Palestinians are really hanging on tooth and nail, to stay in their city. [At] the same time Israel has been aggressively erasing all the culture of the city that… doesn’t support its Jewish Nationalist narrative. So, you know, it’s shut down hundreds of Palestinian cultural institutions. Of course, Jerusalem is a living city, but it’s also a symbolic city in terms of the holy places of Christians and Muslims, and, indeed, Jews. But Israel’s position is that the Jews are the people who have the most rights there. And so, we see more and more restrictions. Millions of Palestinian Muslims and Christians don’t have access to the city to worship. Christmas time, coming up, just something like a hundred Palestinians from Gaza are going to be granted special permits to visit Jerusalem. It’s outrageous, that Palestinians are shut out of this city that is so important to them culturally, and economically, and spiritually. So it’s in that context that you have to see the potential move of the U.S. embassy to Jerusalem. It would be sort of a full American endorsement of these aggressive and illegal and violent Israeli policies to reshape the city, as kind of a Jewish theme park, rather than a living city for all its people. DB: Alright, and just finally, to underscore what might be coming [from]… this appointment. David Friedman has a very close relationship with… the settler movement. As you said, he’s for going all the way. In Jerusalem you have the situation where, you know, the Israelis just show up. People are given a little bit of time and they are ordered out of their house and it’s blown up, because they say they don’t have the proper documentation. That it’s really not the people’s property who have lived there for 40 million generations. Forgive me. But in the case of the settlers in the West Bank, this is a very, very violent movement that is sustained by the Israeli military to a great expense of the United States government, that arms a lot of these structures and supports it. Could you remind people how violent the settlers are at this point, and what’s that like? …. Having your house blown up, living with settlers who can do anything they want, right? AA: They can, and with total impunity. I mean there is seldom any… [punishment for the] hundreds of attacks against Palestinians a year. Very violent attacks, against Palestinians and their property. And just about total impunity for the settlers. But the thing I want to stress also, you know, these settlers are extremists. They are racists, and they are violent. But the thing I want to stress is that it’s really the Israeli army and the Israeli occupation that makes the presence of the settlements possible. And that is what is fully supported by the United States, the U.S. government and every U.S. taxpayer. So, the settlers would not be there without the U.S. funding and without the ten year aid package, that President Obama just signed. So I really want to stress that. It’s not about the few extremist settlers, it’s about the core support. And, really, we should be angry that Trump is doing all these things–or we fear he’ll do all these things–but who set it up this way? AA: I mean, who set it up this way? If the Democrats had done something when they had the chance, Trump wouldn’t be able to come in and do all these things, on so many issues, not just Palestine. And that, I think, is the real failure of our political system. …. I think of Trump as Obama III, the third Obama administration because nothing was done on the wars that Obama has spread around the world, extending executive power to kill people anywhere, on surveillance, Obama hasn’t stopped it. On mass incarceration, he’s pardoned, yeah, more than other presidents, but you know the prisons are still full of people. We can’t complain when Trump comes in and continues what we have been left with. “And so, after years of frustration, the highest international body could adopt a resolution on Israel according to its convictions. No wonder they behaved like schoolchildren let out for vacation. A vacation that may, alas, prove to be short. “But Netanyahu’s immediate reaction was very different. He acted like a wounded animal: running berserk, thrashing around, biting everyone in reach. “Some of his reactions bordered on the ridiculous. He could have belittled the resolution and made fun of it, as Israeli leaders have done many times before. Instead he recalled his ambassadors from Senegal and New Zealand (traditionally friendly nations), canceled visits of foreign statesmen, called in foreign ambassadors for a dressing-down on Christmas day, threw around insults and especially besmirched President Obama. Does Jordan share any responsibility for Palestinian lives? I’m no Zionist but odd that no one cares about Han Chinese settlements in Tibet. Opposition to Israel isn’t antisemitism but as long as Israel is the sole focus it makes it quite easy to assert that. Or a new burst of ethnic cleansing in a repeat of 1948. Or Bantustans. Or attaching the Bantustans to Jordan and pretending they are not Bantustans. Or a combination of the above. None of this addresses the vast refugee camps, of the people cleared out in 1948 and never re-settled. Israel wants them to evaporate, or for someone else to solve the problem. Nobody has volunteered, and they stubbornly remain. They number on the same scale as the PA in the West Bank and in Gaza combined. In addition, there is a Palestinian diaspora, rather like the Filipino and Mexican, of people who send money back and mean one day to return. They too are invisible in all this. The problem is huge. So far, there has been a lot of pretend and ignoring it. Two states was a way to put them “somewhere else.” Then Israel took that too. Now what? Counting them all together, there are twice as many Palestinians as there are Israeli Jews, and no place for any of them to go. This is unstable, and can only fester. Strange – Trump is 100% Israel, yet the demolishing of the two-state concept is a good thing? That demolishing means that millions will probably no longer live on the newly Israeli soil; they’ll be unceremoniously driven into surrounding countries, while million or so that are ‘allowed’ to stay will have only pseudo citizenship, whereupon hostile Likudnik types will maybe bristle at them until they leave as well. Bernie, your conciliatory and reasonable response heartened me. No, I didn’t mean what you suggest. By the way, reading your comments about the history of events in the latter half of the twentieth century was interesting and informative. Good stuff. I’m not in the habit of saying anything good about Barack Hussein Obama, but I must confess that at the very end of his Presidency he finally did something – however trivial – to confound the Zionist State. The Corporate Media is going bananas about the US not once again covering for the murderous thieves and allowing them get a minor slap on the wrist, but even a +1% record is better than a flat ZERO. Which is what he had going in the mideast area till now, in my humble opinion. The possibility of a two state solution died with the assassination of Rabin. Sharon rendered it non consequential and Netanyahu buried it. The USA and EU and Saudi Arabia, the Arab League and Egypt too want to continue to pay lip service to the possibility of a 2 state solution while totally ignoring facts on the ground to disguise their collaboration with Israeli policies in the West Bank and Gaza. Trump is acknowledging the obvious for all intents and purposes by going all in with Israeli policy what he leaves out in his typical surface thinking is that without the possibility of a 2 state solution then Israel is an apartheid state and this will lead to an uncontrollable backlash down the road . Shalom. False choice, in the end it comes down to allowing all who live on the land and have lived on the land equal rights where religion is put in its place a la our Second Amendment to the Bill of Rights. As such a nation earns the right to the worlds recognition as a democratic state. Democracy for everyone. it is surprising that anyone ever considered a two state solution, two equal and independent states realistic. Israel has used it to befog the issue and supporters use it as a pretense that they are trying to reach a solution agreeable to both parties. But one state which controls all borders, all commerce crossing borders, control the airspace and the water in the region makes the two state solution a farce, which it has been since end of the nineteenth century. Which gets back to the choices left to the Jewish Israelis, expulsion or equal rights as citizens for Palestinians. I believe the Jews will fall prey to their own reverence for justice and opt for the latter. Sooner or later. Best wishes to all in the coming year. I think I agree with you Herman. Though I’m not sure what you mean by “false choice”. Are you saying there really is no choice, that it comes down in the end to who wins militarily? That is a solid point. But we as pundits do have a choice as to which solution we support. Maybe it is inconsequential what we think, but it is what it is, and here we are discussing it. Personally I think it is important what we think and choose here because public opinion does it make a difference, it does effect policy eventually. A few weeks ago, John Kerry revealed plans for what he called “this small little city state, which is what effectively the West Bank would be”. This description makes clear that any possible future Palestinian ‘state’ would be weak and pathetic, and not an independent sovereign nation. Yes …..sadly the West Bank would be another version of Gaza. Yea, let’s just turn the West Bank over to ISIS. That will make everybody happy. You people are living in a fog of ignorance. Why has the left shifted so thoroughly against Israel? Here’s a little history. When Israel was created in 1948, the Soviets voted in favor of it in the UN. The Basque government in exile supported Israel and compared the Arab armies to the Fascist who had destroyed the Spanish Republic. The Palestinian communists supported Israel and merged with the IDF. Paul Robeson sang songs in Moscow in support of “Yiddish Partison Fighters”. The US wasn’t crazy about it, since they didn’t want to piss off their Arab oil supplying allies, but they went along with it. The major Arab armies who invaded the newly born Jewish state were British led, equipped, trained and supplied. The Syrian army was French-equipped. 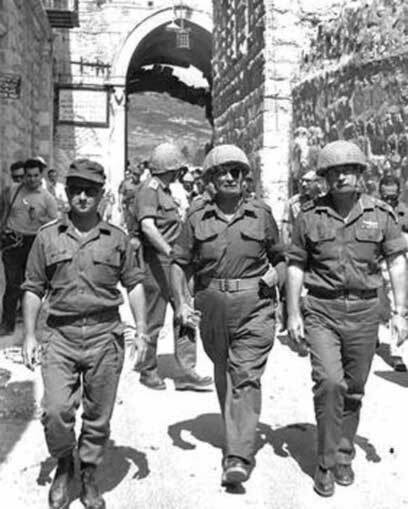 In their War of Independence, the Israelis depended on smuggled weapons from the West and Soviet and Czech weapons. But later, Egypt under Nasser shifted to the Soviet bloc. The Soviet saw that they had a big opportunity to expand their influence but in order to do so they had to take a hard anti-Israel stance. 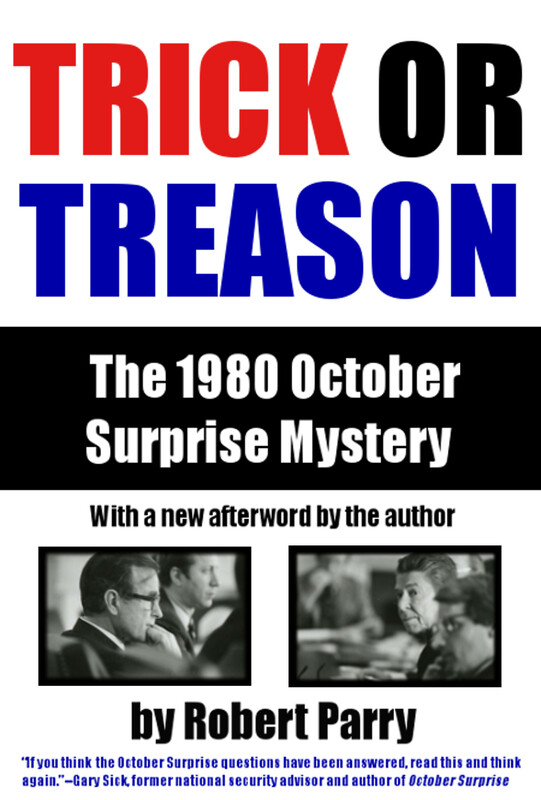 Then, when Israel was in dire straits in 1973, the US under Nixon came in to save Israel with shipments of arms and supplies. Ever since then, Israel has been considered an “imperialist state” by the left. It all comes down to politics, and the politics of Israel and the Palestinians is confusing for many. War is not black and white. It is not as clear cut as you might hope. Read history. Think about what would be better for all those involved in the long run. Yea, let’s just turn the West Bank over to ISIS. Our pro-Zionist propagandist needs to get his act together. To be more accurate that ought to say “let’s just turn Syria over to ISIS”. Once that was done, the mighty Zionist Propagandist Corporate Media Machine would suddenly discover the threat to Holy Israel right at its precious little border! Suddenly it’s time to drive away those dastardly ISIS monsters, and in the process grab the best watered parts of Syria and Lebanon. Just temporarily of course, and just to provide a buffer zone between the evil Head Choppers/Burning Alive Boys and God’s Favorite People. We can look at the temporary takeover again after a century or two. If the two-state solution is history, and annexation comes about, I’d be interested in what you and others really think is likely to happen to the Palestinians. And I think the world doesn’t understand what the settlers intend. As commenter Junius details, there is a plan in place that doesn’t require equality or apartheid either. The remaining Palestinian population of Greater Israel must be compelled, or persuaded, to leave. The interesting thing is how the settler movement is going to do that. Will they be encouraged by artillery, as Martin Van Creveld suggested, or by arrangement, as Mubarak told the world Netanyahu tried to do with the population of Gaza in 2008, or into graveyards, as Ayelet Shaked proposed, is yet to be seen. There obviously is a plan. The settlers are not stupid. They will not be accepting apartheid or one-state either. What do you think they have in mind? Better for WHO???? The Arabs (now known as Palestinians) were ALREADY there and as historical refrences have made clear the Zionists wanted them OUT long BEFORE either the EUROPEAN Holocaust of WWII or the creation of the state of Israel. When Israel was created the Jews were given 55% and the Arabs 45%–even though there were more Arabs on the land at that time. The Israelis have been stealing more & more of the land ever since. 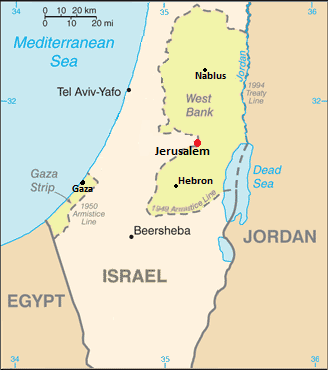 Today the Israelis have 78% of the land and the Palestinans have 22% of the land. There’s no way any decent person can defend any of this. As for “corrupt Arab leaders”, plenty of your tax dollars go to Egypt & Saudi Arabia—the latter of whom sent 15 of the 19 terrorists who attacked the U.S. on 9/11…so, corrupt & violent leaders is what the U.S. has supports—and has a LONG history of dong so (you could also look in this hemisphere for further examples of corrupt & violent dictors that your tax dollars support). I suggest you READ MORE & post comments far LESS. While you armchair anti-Zionists smuggly write your comments, there is a reality in Israel and its surroundings that you choose to ignore. The reality is this: Israel is surrounded on all sides by violent hostile forces. We could argue forever about who caused what, who attack who first, but the reality is that there were a number of wars, the war continues, and luckily the moderate forces, those that believe in basic democratic rights, are winning. If one really believes in basic human rights, consider what has occurred in Sinai since Israel returned it to Egypt as part of the Egyptian-Israeli peace process. It has become a den of thieves, a haven for jihadist extremists. In the end, the question comes down to a choice between a state with democratic principles that offers all cooperative citizens full rights, or a state based in sharia law. It’s simple enough. And to add to this conversation, try googling statistics about what the Arab populations in Israel and the West Bank and Gaza prefer. Most would rather live under the Israeli government because the Palestinian rulers are brutal and corrupt. Our pro-Zionist propagandist makes lots and lots of claims, but for some odd reason provides neither references nor links. I suspect he/she would not like to see the nature of those exposed to scrutiny. But sad to say, good times are ahead for the murderous and thieving little shithole of a nation state. Not only do they have Obama’s enormous pile of US taxpayer money, but Donald Trump is already acting like the bull in the china shop with regard to Holy Israel. And he’s going to have the Democrats helping on this issue. Several Democratic senators have joined President-elect Donald Trump in calling for the Obama administration to veto a U.N. Security Council resolution demanding an end to Israeli settlements. You see, it’s truly a bipartisan issue in the US of A that 1) Israel has unlimited access to taxpayer dollars and 2) Israel’s rights to steal other people’s land and treat the victims like filth are not to be denied. They’re still working on a New War For Israel in Iran, and the prospect of that ought to give Bernie a smile or two. Is the Israeli regime to lead the world into another Nazis catastrophe? Netanyahu stated during the Israeli elections that there will not be a Palestinian state while he is the Prime Minister. There is no hope of a two state solution while he is in charge. Trump has promised to inflame the situation in Palestine with the move of the US embassy to Jerusalem. David Friedman supports the settlement enterprise so West Bank and East Jerusalem construction will continue (or increase) unencumbered. Things will only get worse for the Palestinians over at least the next four years. The 2004 ICJ decision ruled that the Palestinians have a right to self-determination under international law. President Obama could leave office by recognizing a Palestinian state at the UN. That would be a first by the US which has always supported a negotiated solution. However, with a looming Trump Presidency, desperate times require desperate measures – at least by US standards. Currently, 136 countries recognize Palestine. Ironically, a lot of people – principally the radical left – detested and opposed Hillary for various reasons, but one of the most often given was her fealty to Israel. She never attempted to hide her unfettered support for the Jewish State. In fact, this applied to the establishment Democratic Party in general (as opposed to Bernie Sanders). Trump was an unknown, but he let it be known early on that Jewish money could not control him (Daily Beast; 12-3-2015, “Donald Trump to Republican Jews: You Can’t Buy Me” http://thebea.st/1IH1Xph via @thedailybeast). For this reason, he gave the appearance of a (potentially) new approach to the IP conflict. At the very least, Trump would not cave to the influence of AIPAC, or the intimidation of Netanyahu. Unfortunately, Trump may actually be worse for solving the Palestinian conflict. Trump has already sent a clear message about settlement construction – and the move of the US embassy to Jerusalem could set off the Third Intifada. By feverishly opposing Hillary Clinton, the far left may have bought a far worse President for resolving the Israel-Palestinian conflict. Just to add some historical context to the 30 second history of Jerusalem: after the Israeli war of independence in 1948, (all) Jews were ethnically cleansed from East Jerusalem which was under the control of Jordan. Jews were not allowed access to the Temple Mount or East Jerusalem until Israel ousted the Jordan government in the Six Days War in 1967. Additionally, there never was an attempt by the Arab nations to create a Palestinian State while they controlled the West Bank and East Jerusalem from 1948 to 1967. That was never the intention. The Jewish state is on Islamic Holy Land and had to be defeated i.e., removed. A Palestinian state was officially rejected by the Arab powers and the Palestinians until the Oslo Accords were signed by Arafat. I’m not in favor of a two-state-solution and I don’t see it as feasible either. All it ever was, was a carte blanche for Israel. It created a frozen conflict, under whose umbrella Israel could continue with its ethnic cleansing in form of settlements. All it had to do was to prolong, postpone negotiations etc. After all, Israel is the negotiator in a far stronger position. In my opinion there can only be a one-state-solution, but it cannot be that Khazarian apartheid state. The best option would be to create a federal and secular state under no religious or ethnic designation, with equal rights for every citizen. Take Switzerland as a role model. As far as I’ve heard there is a small movement among young Israelis opting precisely for that. But the Anglo-Khazarian imperialists will hardly allow it. This IS the middle east we’re talking about, you know, right? There will never be peace there, and there has only been long-term peace in the past when imposed by some sort of authoritarian system. The region *will* be hit brutally by climate change, and will become uninhabitable in all likelihood anyway. “Stealing Palestine: A Study of Historical and Cultural Theft”. Good article. They’ve changed their names like they’ve changed the history books. Israelis also need to get out of the Golan Heights. And they were allowed nuclear weapons? What? I guess the march will be on to get the rest. Instigate a war, take the land, and then just never give it back. You were right about the map. They were a very greedy bunch, even as far back as 1919. With some more lying, stealing, ethnic cleansing, and generic murdering, the Zionists of Holy Israel may yet reach their 1919 goal. Somehow I doubt if they plan to stop there though. Some other more recent daydreams have already been already published. My second link doesn’t work without serious tweaking, so here it is – complete. Trump needs to get up to speed on Israel/Palestine history. He needs some time with good historians who aren’t Zionist. He needs to hear the other side. I’m hoping he will. Get the money out of politics, break up the banking and media monopolies, and all of this changes. They get their way because they OWN the American government. Break up these monopolies, and then rip up the $38 billion deal. jo6pac – I agree. I believe Trump is a pretty fair guy and feels like a deal is only good if both sides win. I just don’t think he’s up-to-speed on this injustice. Hopefully he can get there. Knowing his business career pretty well over the years, I can say this statement is not in accord with reality. As a Palestinian, I’d say to people who are shocked by this, I’d say, “Welcome to the club.” Because you’re seeing the face of Israel that we’ve always seen and lived with. If people were not shocked by the last two Israeli operations in Gaza that slaughtered thousands of virtually defenseless people, including hundreds of children, then it is unlikely they will be shocked if David Friedman’s plans become reality. And I think it challenges all decent people to, you know, to take a stand. Very few people in the White House and Congress, incumbent and incoming, will rise to that challenge. The lawsuit alleges that these organizations are basically involved in money laundering, arms trafficking, and aiding and abetting murder, maiming, theft of Palestinian private property, war crimes, ethnic cleansing, and other acts, which are illegal under U.S. and international law. Since when has international law been a concern for Israel’s governments? We can’t complain when Trump comes in and continues what we have been left with. Also, we knew well before the election that the Palestinians were screwed, no matter who moved into the White House. Even Sanders would have been as horrible as Obama, Hillary, or Trump. So the murderous thieves of Holy Israel will continue to murder and steal. On a whim I dug out a 1923 National Geographic article about the area. In 1923 Palestine Christians were 11.5% of the population compared to 2% today. To make the place “pure” for the Zionists, they’ve got to go too. The long history of imposing boundaries on the Middle East by outside powers has done nothing to make the region more stable or less prone to violence. Subsidized by the United States, Israel has built a highly profitable military driven market empire. Israeli-occupied Palestine is treated as a huge proving ground where Israeli weapons and military technology are experimented with, and where military and militarized police tactics are tested, prior to being marketed abroad. There’s an internecine battle occurring right now between two factions of the United States ruling class. On one side (in broad brushstrokes) is Flynn, Mattis, much of the mass media, and Friedman. This violent team desires nothing less than a bombing campaign on Tehran and will give a bright green light to Tel Aviv’s continuous and brutal land grabs in the occupied territories. Military driven empire building is what these elites are solely committed to. This is also essentially the MIC-Saudi-Zionist terror network. On the other side of this Maginot Line (in broad brushstrokes) stand Big Oil and Tillerson. This faction of our ruling class is a proponent and practitioner of Market driven empire building and seems to finally have come to the realization that regime change wars for the MIC-Saudi-Zionist terror network are totally destabilizing to certain petroleum rich states. These obliterated failed states are not conducive to lucrative oil driven contracts and profit making. Moreover, this team of uber capitalists would prefer to see much less saber rattling toward Moscow and a lifting of sanctions in order to sign lucrative business contracts with the Kremlin and Russian firms. Which side Trump ultimately sides with – the Military driven empire builders versus the Market driven empire builders – will determine much of how Washington hegemony will operate throughout the globe. It’s noteworthy that nowhere in this entire paradigm do peaceful activists and progressive intellectuals have any role or influence. There’s total impotence from the left in the face of this bloodthirsty and incredibly important battle between American elites. Thanks for the kind words Mr. Oosterom. Drew – I’m going to bet Trump goes with the market-driven empire builders. It is what he knows. That’s what those of us who are no friends of Trump are also hoping; “make money, make deals, not war” hopefully becomes Trump’s motto. This would be sufficient “do goodism” to knock down the warmongering Establishment. I certainly agree (see my comment on Drew somewhere among these comments). early ancestors were matriarchies and fairly peaceful. It was the discovery of spears and their implementation by men that was the beginning of modern warfare. Of course, going from hunter-gatherer societies to agricultural societies was a HUGE step in the wrong direction. Don’t forget that the hunter-gatherer society was the first society in which fast-food was universal. I agree that an important battle is playing out these days among the elite, but would describe it a bit differently: on one side are those who seek to dominate the world through the direct application of the overwhelming US military and intelligence advantage; on the other side are those who seek the same purpose, but want to achieve it via proxies, thereby retaining the image of Western humanitarianism and moral superiority. As I perceive him, Flynn (for example) finds it stupid (not to say distasteful) for a mighty power like the USA to depend on an assortment of jihadists to implement the core agenda of the empire. Flynn’s perspective is a perfect match for the disposition of President-elect Trump. They prefer Cold War brinksmanship with the Russians and the Chinese to playing the tawdry “small ball” of depending on the cooperation of various Muslim leaders. President Obama exemplifies the small-ball approach: regretfully but patiently using proxies to accomplish imperial purposes, avoiding the explicit violence involved in the direct application of US military force and the implicit racism of eschewing cooperation with the various small powers of the world. Where is big oil and Tillerson in this debate? I don’t know. But I think the media has been very much on board with the small-ball approach. It’s flattering to think of ourselves as a reluctant power. Beneath this debate (as I perceive it) is an argument about imperial power: is it mainly a function of technical superiority, or does it require moral legitimacy too? @berry …”or does it require moral legitimacy too?” The imperial agenda apparently doesn’t require it; sufficient merely to have the rank and file BELIEVE it represents that legitimacy.